Lily-of-the-Valley Plant Poisoning is the accidental or intentional intake of the plant parts (such as new sprouting leaves and tubers). What is Lily-of-the-Valley Plant Poisoning? What are the Causes of Lily-of-the-Valley Plant Poisoning? What are the Signs and Symptoms of Lily-of-the-Valley Plant Poisoning? How is First Aid administered for Lily-of-the-Valley Plant Poisoning? Who should administer First Aid for Lily-of-the-Valley Plant Poisoning? 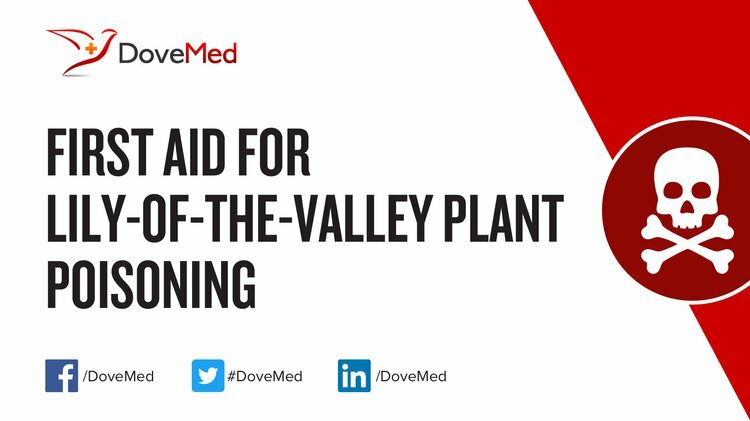 First aid for Lily-of-the-Valley Plant Poisoning is administered by healthcare professionals. What is the Prognosis of Lily-of-the-Valley Plant Poisoning? How can Lily-of-the-Valley Plant Poisoning be Prevented? Khan, M. A., Khan, M. A., Mujtaba, G., & Hussain, M. (2012). Ethnobotanical study about medicinal plants of Poonch valley Azad Kashmir. J animal plant Sci, 22, 493-500. Reddy, B. A. (2010). Digitalis therapy in patients with congestive heart failure. International Journal of Pharmaceutical Sciences Review and Research, 3(2), 90-95. Wink, M. (2010). Mode of action and toxicology of plant toxins and poisonous plants. Julius-Kühn-Archiv, (421), 93. Shikov, A. N., Pozharitskaya, O. N., Makarov, V. G., Wagner, H., Verpoorte, R., & Heinrich, M. (2014). Medicinal plants of the Russian Pharmacopoeia; their history and applications. Journal of ethnopharmacology, 154(3), 481-536.